Ansmann Powerline 4 Intelligent charger with discharge function including USB charging socket. Comes with AC input with 4 international plug styles for use in many countries as well as 12V DC input for in car use. The all-rounder among chargers - also for smartphones and mobile phones. 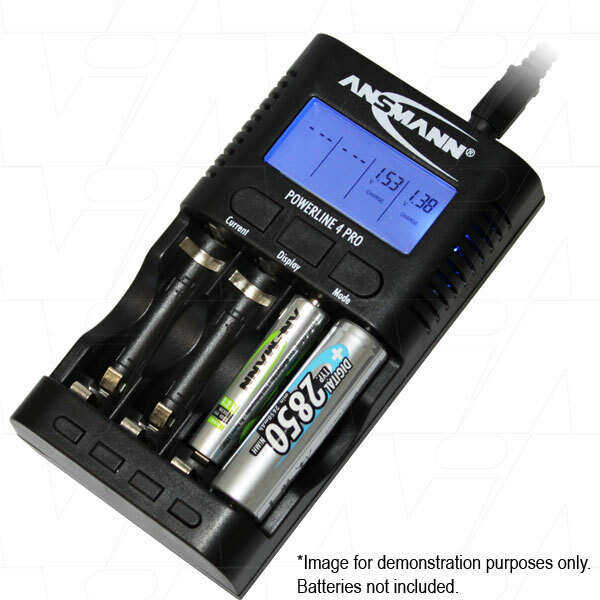 Rechargeable batteries can not only be charged very quickly and safely, but with the ANSMANN multifunction charger Powerline 4 Pro, the capactiy (shown in mAh) can be checked too! The Powerline 4 Pro is also perfect for travelling. It can charge rechargeable batteries and USB devices worldwide and also on-the-move in a car or caravan. Picture below is for reference only. Batteries are not included.